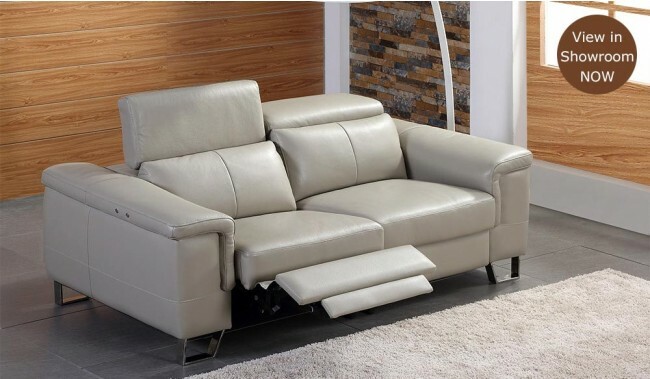 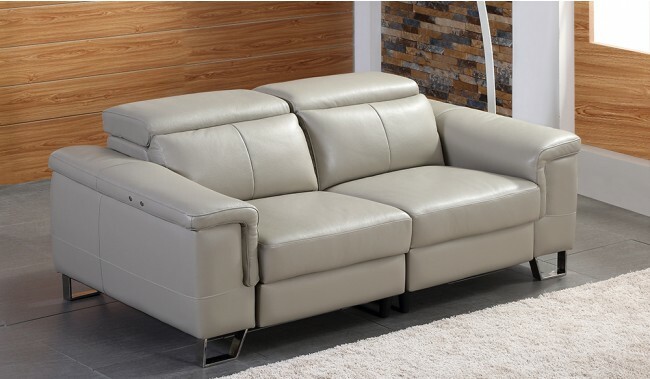 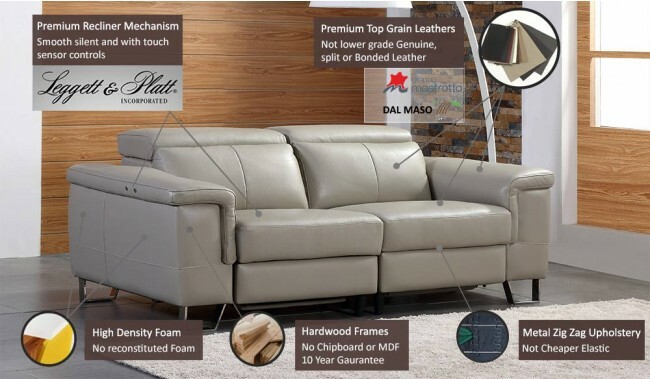 Prema Plus 3 Seater Electric Recliner Sofa is a modern italian designed sofa in available in huge range of combinations to fit your room size or shape. 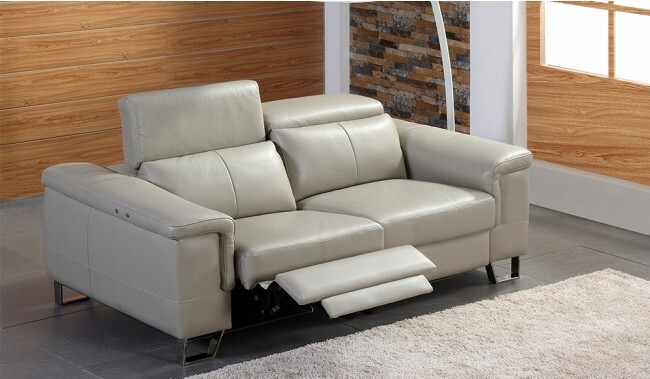 Stacked with advanced features such as electric recliner seat sections, manual adjustable headrests and touch sensor recliner buttons to offer the ultimate in luxury and comfort. 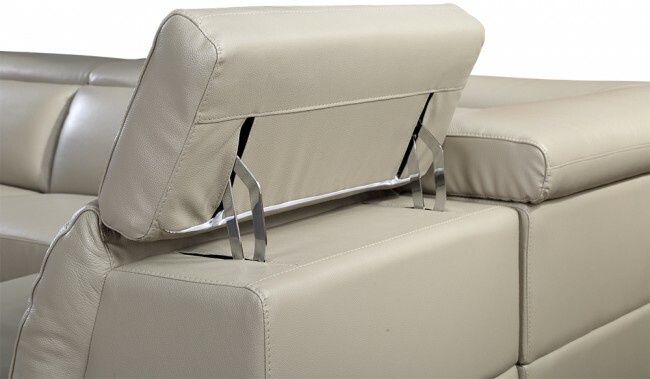 All headrests adjust manually, this model includes 2 electric recliners. 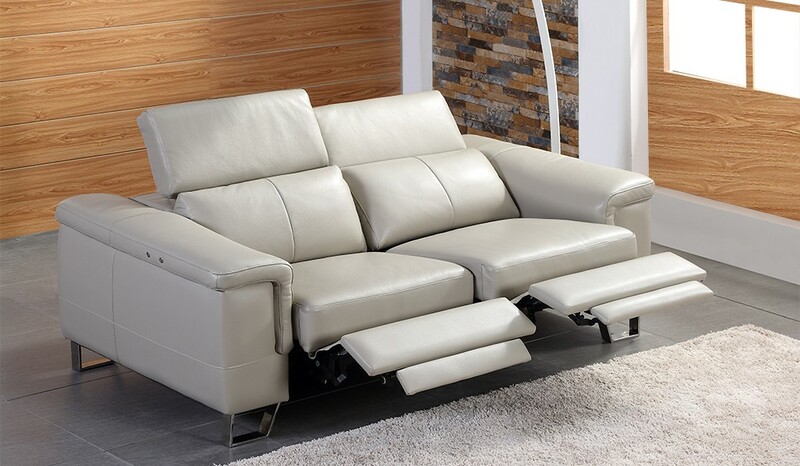 Feet: Metal hidden for electric section, hidden wooden feet and Chrome finish metal feet.